ISLAMABAD: BOL TV is going to rock the world of electronic media in Pakistan by netting almost all the big names and earn Rs550 million a month, according to a leaked feasibility report of the much awaited channel, reports fact.com.pk, an online Urdu newspaper. The report claims that Sana Bucha, Shahzeb Khanzada, Zahid Mazhar (Director News Dawn TV), Jasmeen Manzoor and many others are set to become part of BOL. 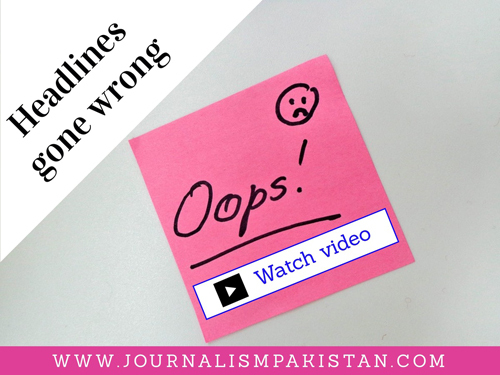 It says Ayesha Bukhsh, Junaid Ahmed and other top of the line newscasters have already finalized their deals. On the other hand Najam Sehti, Talat Hussain, Javed Chaudhry and Kamran Shahid are weighing their options, according to the website. 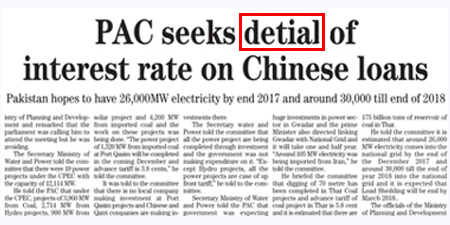 Giving a cover picture of the feasibility report - “Project Feasibility & Financial Project Analysis” - the website says BOL TV estimates an income of Rs500 to Rs550 million a month. It says the channel is looking to hire 17 big names of the industry, with each getting a salary of Rs7.5 million a month. In other words the salary bill of these 17 big names will be around Rs130 million. For the rest of the employees, the channel has allocated Rs100 million besides Rs120 million for operations and administrative expenditures. According to feasibility report, BOL TV estimates a profit of Rs200 million a month. With a market value of Rs100 billion, the channel has made Azhar Abbas, Kamran Khan, Amir Liaquat and Jerjis Saija shareholders of BOL TV. The website carries pictures of Shoaib Ahmed Sheikh, the BOL CEO, giving “shareholder certificates” to Azhar Abbas and Kamran Khan. 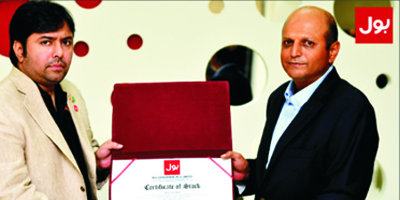 Photo caption; BOL Group's Chairman and CEO Shoaib Ahmed Sheikh (left) presents a shareholder certificate to Azhar Abbas, President and CEO of BOL TV.